Mounir Ibrahim is Vice President of Strategic Initiatives for Truepic, a technology company that specializes in image authenticity. 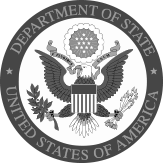 From 2009-2017, Mounir was a Foreign Service Officer with the U.S. Department of State and key adviser to several Ambassadors. Mounir served in a variety of posts, including in New York at the US Mission to the United Nations. In 2013, Mounir was recognized as one of Diplomatic Courier’s “Top 99 Under 33 Foreign Policy Leaders.” Mounir received his BA in International Relations and Political Science from American University and his MA in International Affairs from Columbia University. Mounir is a term member with the Council on Foreign Relations.